Looking for a no-hassle filler that's not going to shrink when drying? With a lightweight, non-corrosive formula that holds its shape perfectly, this Siroflex Instant Plaster Filler is exactly the tool for the job! Ready-mixed and ready to go, fill and repair holes and cracks with confidence wherever they're situated. 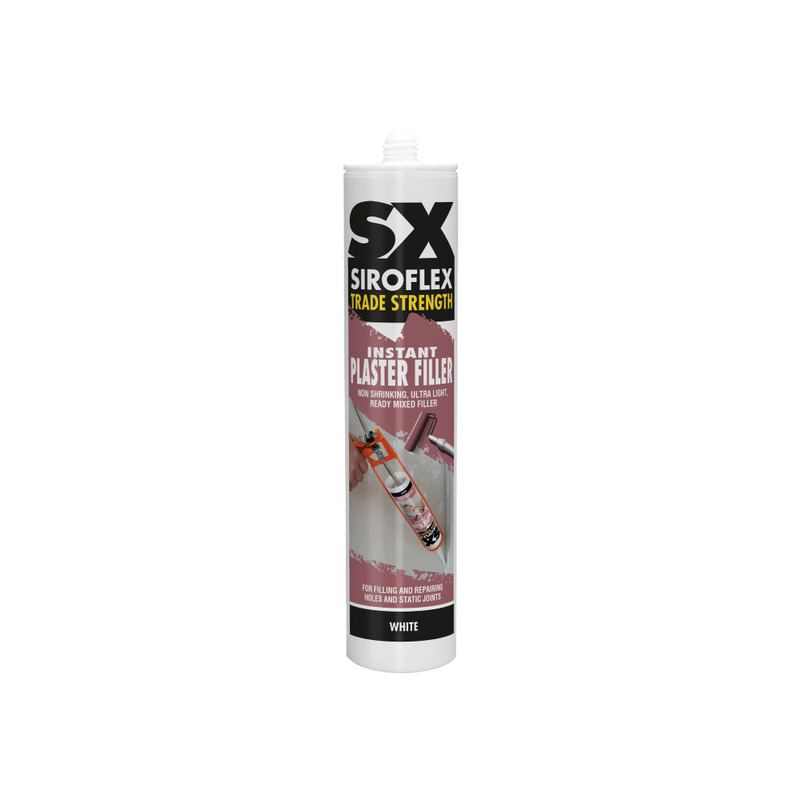 Incredibly quick drying, in perfect conditions this filler can be painted over with both water-based and synthetic paints just 10-20 minutes after application. What's more: after curing, the product can be sanded to deliver a seamless finish with its surround whether it's plasterboard, concrete, brickwork and plaster - seems like the instant filler is a real winner!